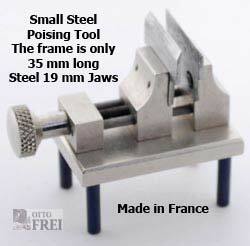 Levin Tools made in the USA are none for their superior tools that are above all others in material and quality. 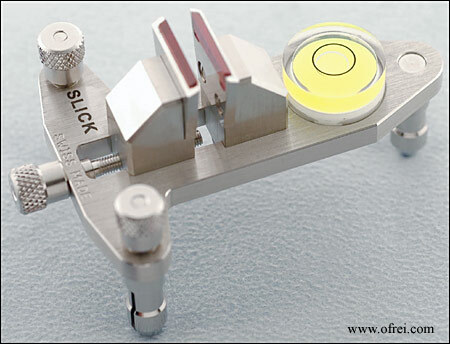 Hole for Level is 18 mm in diameter while the level diameter is 20 mm. 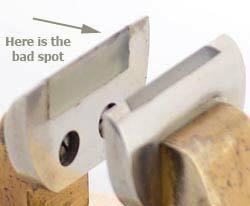 The level does indeed sit flat on the tool tabletop it just does not fit into the hole on the table. 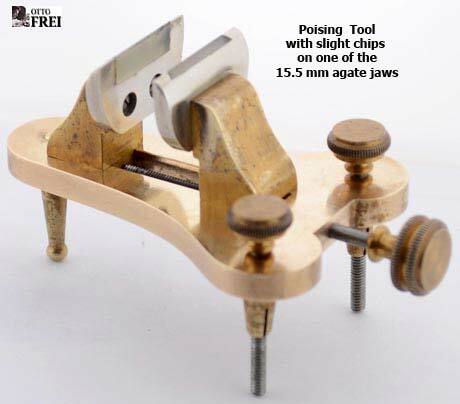 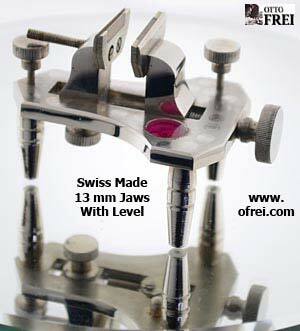 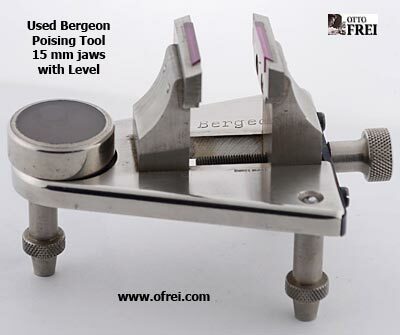 High quality poising tool with 19 mm Ruby Jaws that are precisely ground and polished to the right edge for posing the smallest balances. 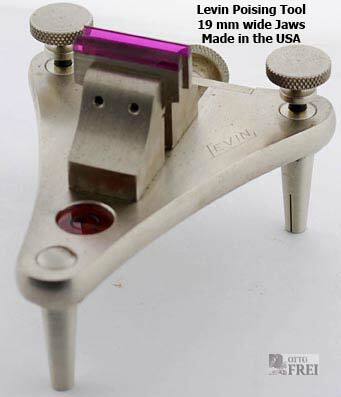 Levin Tools made in the USA are none for their superior tools that are above all others in material and quality. 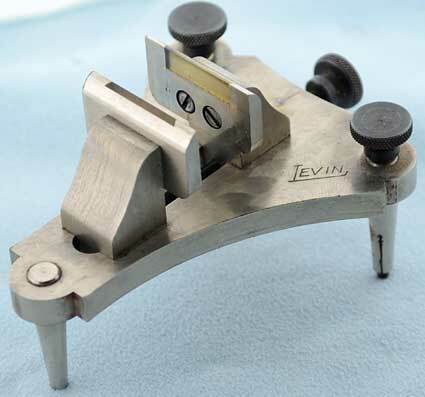 This Levin Poising Tool has 16 mm wide Agate jaws. 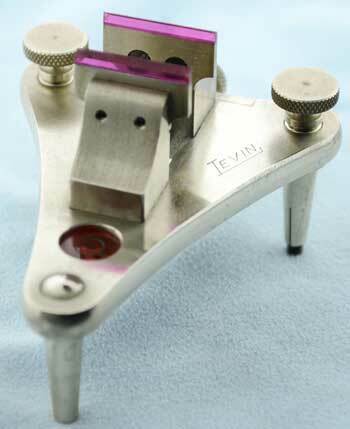 Levin Tools made in the USA are none for their superior tools that are above all others in material and quality. 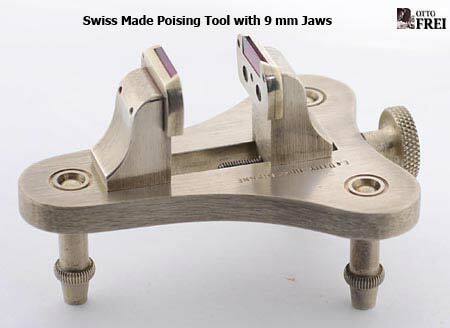 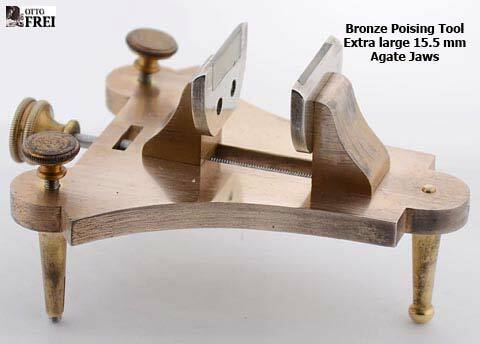 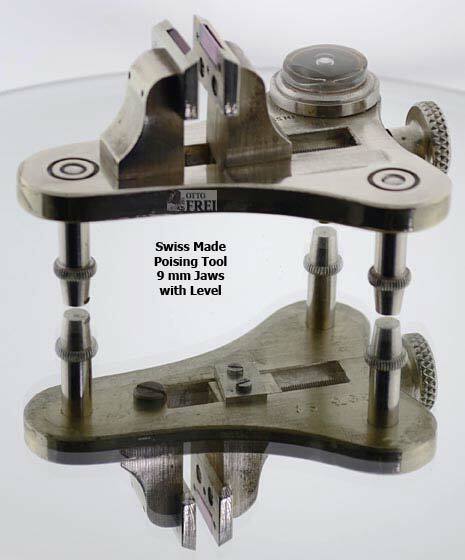 The best poising tool on the market.This beautifully made balance poising tool is the best poising tool on the market. 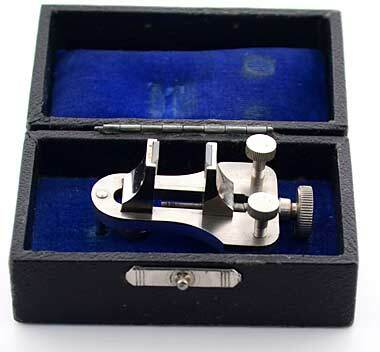 Comes in a nice wooden box.